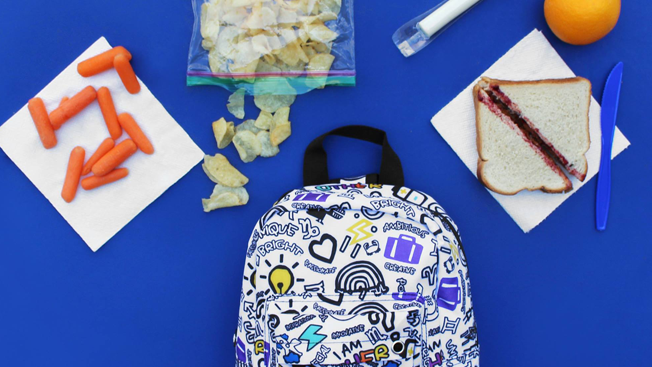 Google has released a list of 2016 back-to-school trends based on search and YouTube traffic. And with the National Retail Federation estimating that consumers will spend around $75.8 billion on back-to-school shopping, marketers might want to pay attention to what kids—and parents—are looking for. The report released today highlights some of the trends that might be popular this fall. Last month, three out of five back-to-school-related Google searches originated on mobile devices. That's up more than 35 percent from a year ago. YouTube traffic is also up from last year, with watch times for back-to-school videos increasing by more than 70 percent. One of the key trends seems to be the rise of specialty backpacks. While Herschel was popular last year, the top five for 2016 cover a wider range of styles and functionality. For example, the most searched backpack is Victoria Secret's campus brand, Pink. The second most popular is Sprayground, the visually bold brand that's been partnering with celebrities like rapper The Game and New York Giants wide receiver Odell Beckham Jr. Brands like Kavu and Fjallraven are also in the mix, along with backpacks branded with almost everyone's favorite summer game, Pokemon. In fact, the search term "bookbag"—a term most common in states like South Carolina, North Carolina and Georgia—is up 300 percent this year compared with 2015. The most popular shoes so far are Birkenstocks, with search traffic rising 46 percent since last year. It's actually the third year in a row Birkenstocks have been a top choice on Google's list. This year, they beat out more modern celebrity-backed footwear like the Under Armour Curry (Stephen Curry's signature shoes) and the Yeezy Boost from Adidas and Kanye West. Maybe Kanye should collaborate with the German sandal from the '60s—they might make him famous.